Q: Which is better: E6 or TGC ? A: That's a matter of personal preference. Both are very good systems with excellent graphics and ball physics. We recommend first trying out both systems as supplied before making a decision to purchase the full versions. Feedback from customers are mixed on this question. Some say the graphics in TGC are a bit dull or too realistic while others say the graphics in E6 are more vibrant, vivid and lively. while E6 has only around 100 courses. Some say though that because most of the TGC courses are made by private customers there's not the amount and attention to detail that E6 courses feature. Other than the occasional tweety tweety bird, E6 seems very quiet in comparison. Once again this is a matter of preference though. TGC also offers a course designer so you can create your own courses. Q: Which software is shipped with the systems? All lower cost systems are shipped with TGC 15 course software and RedChain single course software. 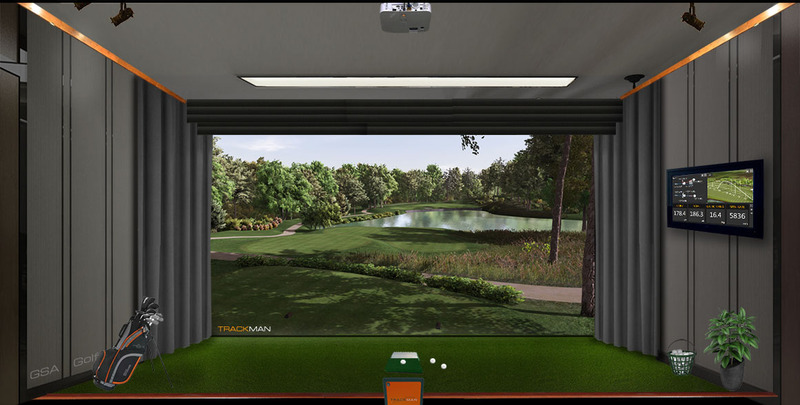 Q: I want to start a commercial indoor golf facility: which system do you recommend? While most regular customers probably won't notice that true club tracking is missing, some more discerning customers may find this a major draw back. Here the choice is between camera club tracking or optical sensor mat club tracking. The major disadvantage with camera club tracking is the fact that tracking dots or strips have to be applied to the clubs. the mat itself contains sensitive electronics that after prolonged and tough use may start to break down over time and require replacement. but still can't stop strong impact vibrations causing circuit board faults. the life span of a mat being used many hours every day by people that don't own the equipment - thumping down on the mat - will be greatly reduced. We therefore can only give a 6 month and not the full one year warranty on these sensor mats. Note that replacement circuit boards are in the $800 range. Q: I want to work on my game and want the most accurate system available : which system do you recommend? and while there are 3 factory preset default calibration tables supplied with the system, these may not always suit every installation as camera mounting positions will vary from one installtion to another. For spot on ball tracking accuracy (i.e. correct ball speed, ball path and launch angle measurements) user camera calibration will be required. See the calibration page on the web site for details. Q: How accurate is the system ? The above recent emailresponses from a customers strongly indicate that our default calibration is also very good though. Q: How complex is it to setup the system? Okay - kidding apart - while our camera systems are not exactly "Plug'n'Play" we do support and hand hold every customer during the installation process. but if not - then we are always here to help via e-mail support. Q: What kind of support can I expect from GSA Golf? A: as stated above, we offer free remote access support, e-mail and phone support. Q: When I order a system, what is the delivery time? Q: When I order a system, what guarantee do I have that I will actually get it? As in life, there's no real guarantee of anything but the likelihood of us not supplying a customer with ordered goods after payment is not even conceivable in our opinion. We'd be fugitives on the run if that ever happened. But just to put your mind at ease: if paying with a credit card, then you'd be guaranteed a full refund from the credit card company should you not receive the ordered goods. Q: If I buy a system and don't like it, can I return it for a full refund? 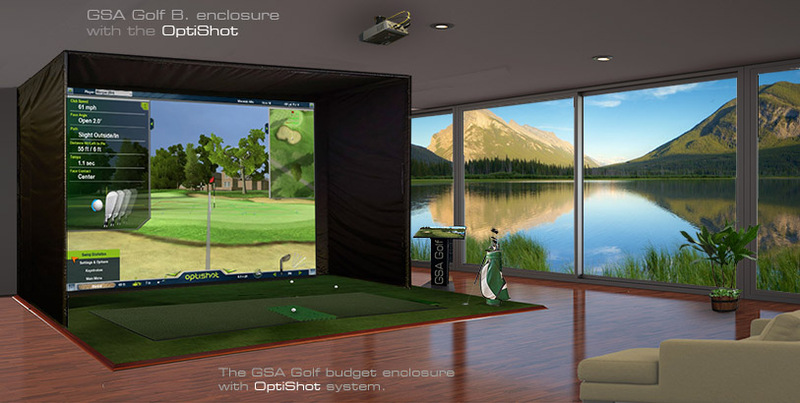 A: As GSA Golf is a relatively small company (i.e. we're not Amazon.com) the answer to this unfortunately "No" at this time - as much as we'd like to be able to say "Yes"
All GSA Advanced Golf Simulators LLC products are custom made and/or purchased to order and thus a no return policy applies. Sale is considered to be done and final and no refunds are granted under any circumstances. 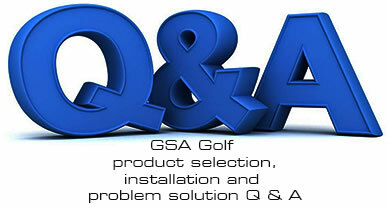 Q: What is the warranty on GSA Golf products? and like all other optical sensor systems from other manufacturer's - will have limited life span. Q: I'd be interested in purchasing a system but want to try it out first. Where can I do this? cutting out resellers with their 50 to 100% price increasing margins. and thus don't offer any test facilities. most are so convinced from our very detailed product information on the web site that this is not a major issue for them at present. Q: What do the letters GSA stand for? Q: How long has GSA Golf been in business? GSA Golf first started business in Frankfurt Germany in 1999 by British born Martin Paul Gardiner. 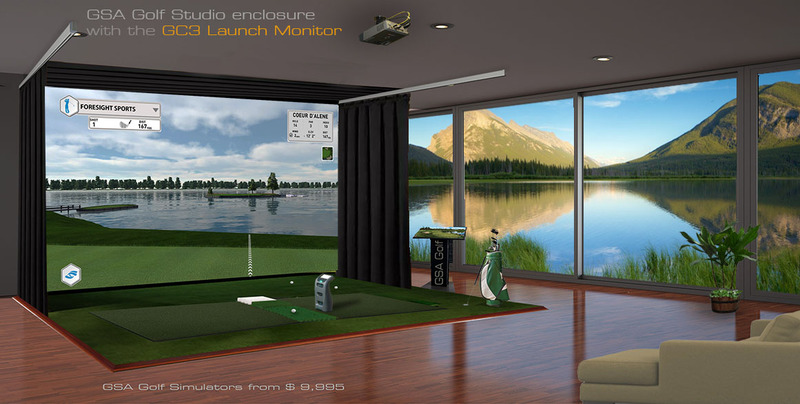 Q: How do GSA Golf products compare to other golf simulator manufacturer's products? Q: Which is better - camera club tracking or optical sensor mat club tracking? Q: If I buy a used GSA Golf system, can I get full technical support? A: Yes, but there's a transfer fee of $500 required if remote support is required. Can your company offer this? However, we're sure that it's only a matter of time before there'd be a definitive "YES" in answer to this question. Give it another 7 to 10 years we'd say. (like the F series ones in the picture on the website)? Note that the PC kiosks in the pictures are optional extra. Each system comes with a PC Monitor stand though. Q: What is the install process like for the F series simulators? Is it something I will be able to do by myself? A: It's quite straight forward and well within the capabilities of the average male. Nearly all our customers install the systems themselves. Some prefer to employ the services of local home theater installers though. Q: How much is the shipping cost of the F series simulator? Q: Are there reoccurring fees on the TGC computer software? Q: Are there any reoccurring fees I should expect (besides maintenance) with the simulator? A: No - all software updates are free of charge for life. Q: Can I use my own PC with GSA Golf systems? A: Usually "Yes" but it depends on how good your PC is for the particular product you're interested in. You'll need a relatively good gaming PC in order to render the graphics and as long as you're only using 2 or 3 cameras then there shouldn't be any problems. Also note that Laptops are generally not capable of running multiple camera systems. Q: Can I run the software at 4K Ultra HD resolution? 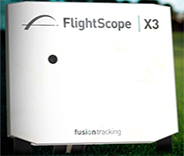 Q: Are GSA Golf camera systems compatible with other golf sim and launch monitor manufacturer's systems? Q: I have an older FullSwing system, can I add your cameras to it? 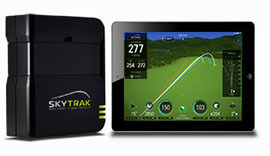 Q: I have a SkyTrak , can I add your club tracking cameras to it? It would be quite a simple matter to add the interfaces so that they would work but other manufacturers - not wanting to give up any of their market share - simply won't allow it. You'll notice that with all our competitors, the "Sun is always shining" and there is no such thing as negatives with their products. In contrast, we here at GSA Golf believe in being truthful and pointing out any possible issues to our customers. it's just that they don't tell you about it because that wouldn't be "good for business"
Pros: Easiest setup and lowest cost. No cameras to install. You'll be up and running and playing the supplied E6 golf or TGC within 30 minutes with our PX1 or PX2 systems from just $ 699. No markings on clubs required. Most accurate photocell club tracking sensor mat on the market. Cons: System detects club data only (path, speed and face angle). 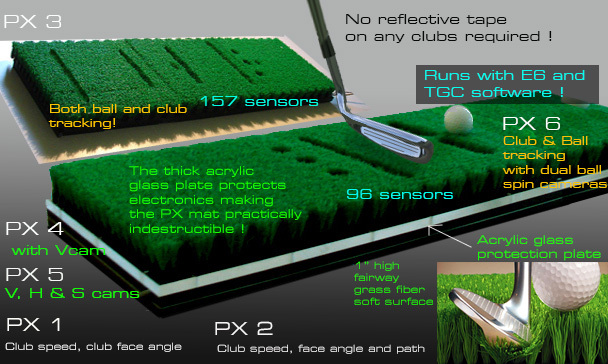 Ball data is only calculated from club data on PX1/PX2. Pros: Ball can be played from any simulated surface - fairway, rough, sand and greens. Easy putting. Cons: System detects ball data only (path, speed and face angle). Club data is only calculated from ball data. Data captured: Ball speed, ball path, ball vertical launch angle, very accurate club face angle detection. Cons: If club speed and path is required, tracking dots need to be applied to the club. Cons: Must play ball from same spot on hitting mat. 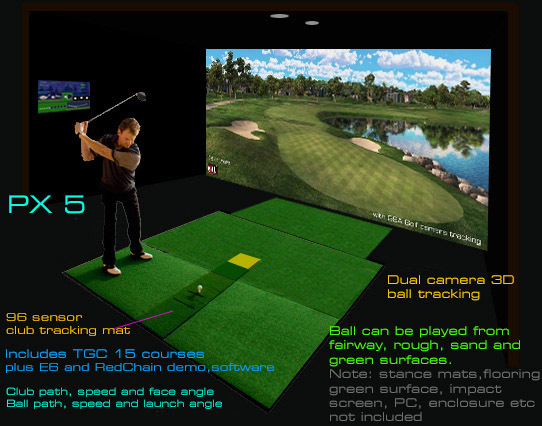 plus TGC 15 course software ! 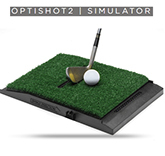 LP series golf simulators from just $1,438!